When you suffer from some infection you might as well suffer from headache. An infection affects our bodies in various ways. One of these adverse effects can be headache and migraine. 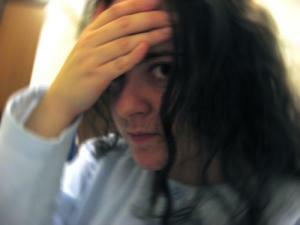 Headaches and migraines that begin at the same time as infection are most likely related. Infections can be both viral and bacterial. Anyone who has suffered with influenza, or the flu, has probably experienced the headache that accompanies this infection. Influenza virus typically causes high temperature which is followed by headache. This headache can also occur because of body’s production of interferon and other elements of the immune system fighting against the virus. A common cold virus, or Rhinovirus is an upper respiratory infection that can also induce headache. This infection can produce intense congestion in the nasal passages that affects sinuses and result in headache. Encephalitis and meningitis viruses can also cause severe headaches. These viruses affect the brain in a way that surrounding membrane of the brain becomes extremely inflamed. This inflammation can lead to fatal outcome due to extreme pressure on nerves and requires urgent medical attention. Sinusitis can be also sometimes accompanied by headache due to inflamed and irritated nasal lining. HIV virus can be followed by dull headaches as well. Epstein-Barr virus can cause chronic headaches apart from other symptoms. Even benign viral infection can induce chronic headache. This is believed to occur due to body’s oversensitive reaction to the infection. Physical strain may worsen headaches, therefore plenty of rest is recommended to relieve the pain. Also, non-steroidal anti-inflammatory medications can ease headaches. Bacterial infections can be also responsible for headaches. For instance, if you are infected by streptococcus, you will most likely experience headaches. Recurrent urinary tract infection that is treated with antibiotics can result in headaches. Many antibiotics temporarily aggravate headaches or prompt new headaches. When antibiotics are discontinued headaches go away. According to some studies, helicobacter pylori bacteria contribute to migraine. It is believed that treating the infection with antibiotics can eliminate migraines. Eye and ear infections generally result in headaches due to pressure in the head. Ear infection is very common in children and it is treated with antibiotics. Antibiotics eliminate virus thus eliminating headaches. Yeast infection, usually caused by Candida albicans, among it symptoms also includes headaches. Headaches caused by an infection can be relieved by treating underlying condition. To relieve the painful headache you can use over-the-counter painkillers. Supplements that can help to improve immune system, treat infection and alleviate headaches are ascorbic acid and zinc.